Next into the street food, the highlight was the chow tau fu (stinky tofu!) well, I tried it! From far you can smell a distinct unpleasant smell where first thing that comes to your mind is a huge smelly drain. But as you go nearer to the frying place you’ll be tempted to buy and try one. Well it does stinks before you put it into your mouth but with a little grimace you’ll be able to do it and once you bite into it, you’ll find it juicy and a little bit sour (from the fermentation I guess), after all its suppose to be ‘spoilt’, which meant so literary in Cantonese “chow“, which ironically also can be meant by “smelly”. Well, all said in one word, it is spoilt and smelly but yet…still delicious. Warning though, it does left a weird after taste in your mouth and you wouldn’t want to go talking to anyone near for that matter! 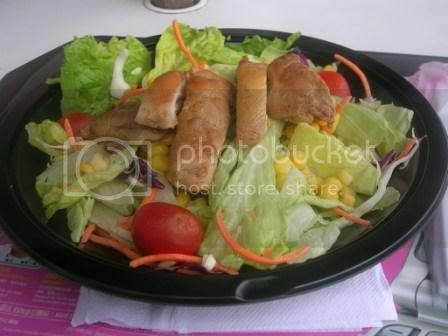 Then there was the special or chien (fried oyster with eggs) which is entirely different from Malaysia version. This one is ultra-crispy with the eggs all fluff up with extra crunchy batter plus with generous amounts of oysters. The ones in Malaysia are usually flatter ones. 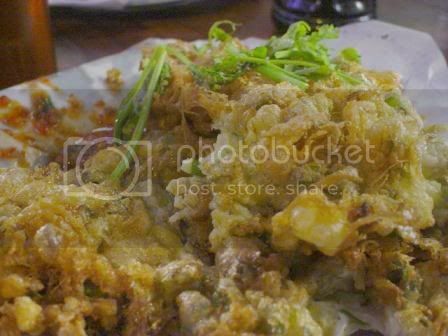 But somehow, at the end of the meal, one can feel “jelak” (sick) of its richness and also partly because it is pretty oil laden. Anyhow, a must try in one of the stalls in miu kai. Well, you guys must be thinking, where is the dim sum!?! 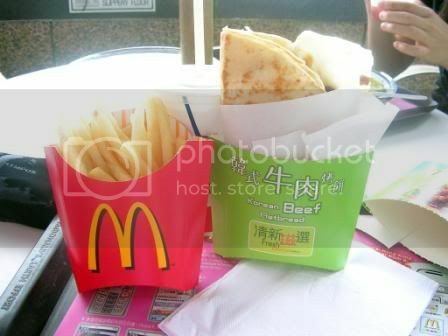 That’s what Hong Kong is famous for! 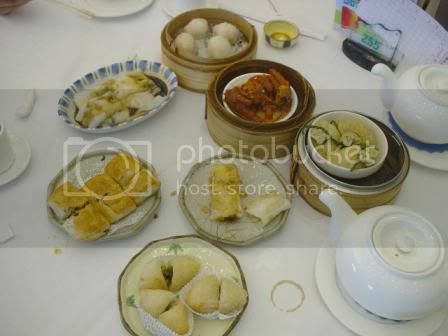 Well, of course I do have loads of dim sum picture, I had it 3 times for breakfast and once for lunch! Imagine that! 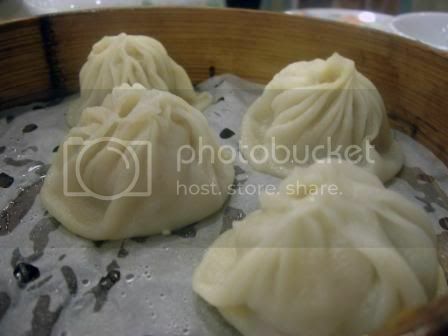 My favorite of the lot is siu long pau (Shanghai dumpling) that is soupy inside with fresh meat and really goood to bite…I missed it so much! 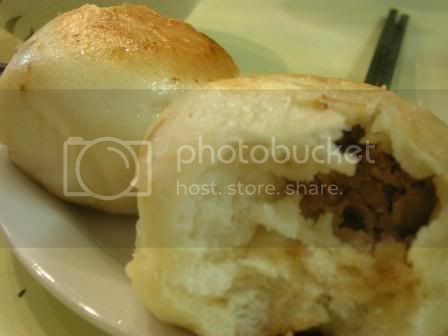 Next is the Shanghai beef pau which is sweet meat in a crusty bread. Shanghai has the best dim sum I guess and they can’t seem to have enough of beef. 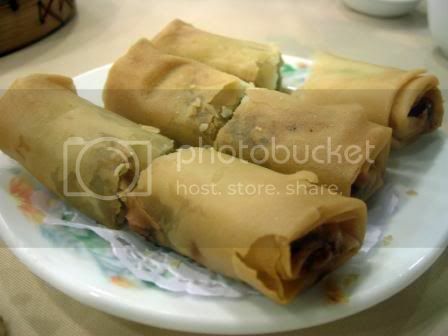 I heard that the spring rolls is a must try but to me, it is just so-so, I prefer the ones in Malaysia. 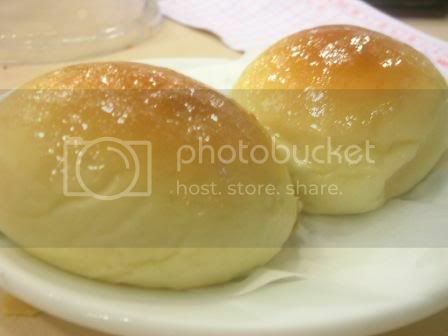 This is a char siew pau (pork meat bun), which I’m not sure what version it is but it sure is good. 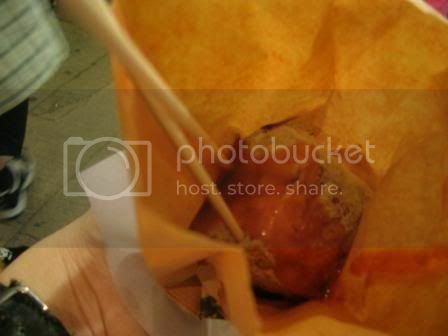 The bun is soft and fluffy, with honey glazed on top with the extra kick of juicy sweet and salty pork filling…yummy. 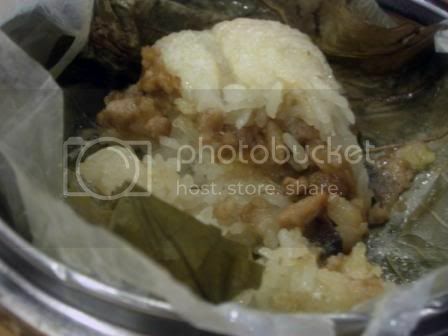 It is certainly a variant from the usual steamed pau as this one is baked. Here’s an array of one of the dim sum breakfast I had in a different restaurant. Notable ones here are the fried mango in the middle which is crunchy and sweet, really special and the package type of bean curd with filling inside which is really different and good. Sigh, I miss my dim sum fix in Hong Kong! 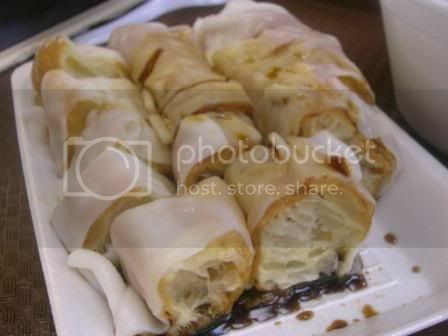 There’s this which I think is considered a dim sum dish too, which is called char leong, which is actually yau char guai wrapped with cheong fun! Really special combination but tasty nonetheless! 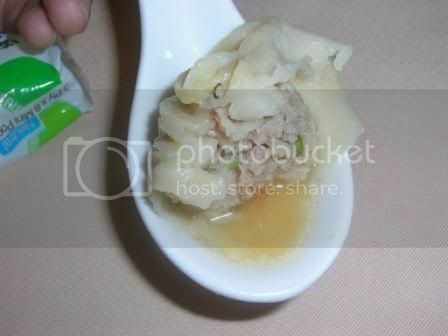 Crunchy coupled with the smooth cheong fun…something that delights the palate indeed. 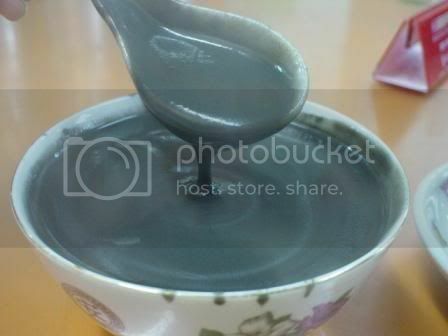 Last but not least, is this lovely tong sui (sweet dessert) that we had in one of the little shop in a corner street of Kowloon, which is actually black sesame dessert. Look how thick it is! 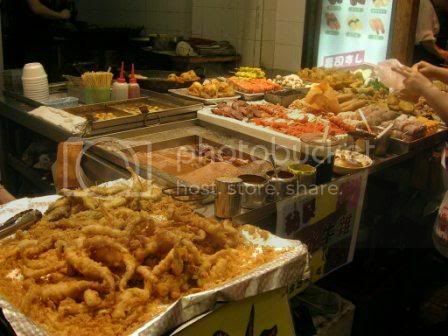 That’s all for how three girls from Malaysia eat their way through Hong Kong in 1 week. Hope you all enjoyed it as much as we did!